Product prices and availability are accurate as of 2019-04-25 21:56:37 EDT and are subject to change. Any price and availability information displayed on http://www.amazon.com/ at the time of purchase will apply to the purchase of this product. Todd's Seeds Rainbow Carrot Blend Seeds is a combination of Solar Yellow, Cosmic Purple, Lunar White, Atomic Red, and Scarlet Nantes. This beautifully delicious and attractive blend of carrots is sure to be a hit with any kid if you are looking to spice up the dinner table a bit. 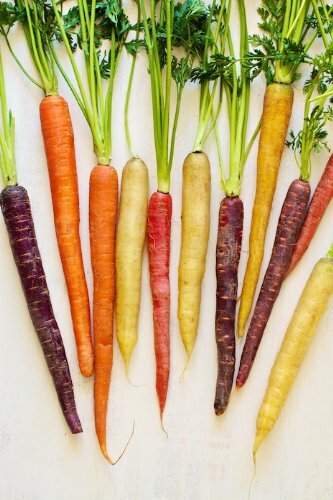 Boring orange carrots are of no desire to a 5 year old but with an attractive blend of various colors, flavors, and textures, any one would be excited to eat their vegetables!